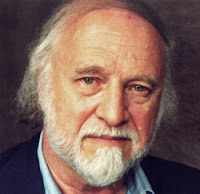 I was very saddened to hear of the passing of writer Richard Matheson on Sunday. In the world of genre fiction, this man was a giant. My first introduction to him was through The Twilight Zone, so, in memoriam, I thought I would share some of my favourites of his. Little Girl Lost was one of those Twilight Zone episodes that I'm sure terrorized many a child back in the sixties. Matheson took the age-old fear of the unknown that lies under the bed and made it real. Steel was one of the many wonderful character pieces The Twilight Zone was known for, starring Lee Marvin as an aging prize fighter, willing to do anything to make some quick cash. Matheson's The Invaders and Third From The Sun were classic examples of The Twilight Zone brand. They would take a normal, very human situation, add an extraordinary component and then in the last few moments pull a one-eighty that would leave you reeling. This kind of stuff ignited my imagination as a child and opened me up to a new way of creative thinking. Nightmare At 20,000 Feet is one of those episodes that is forever linked with The Twilight Zone. It is so much an touchstone of pop culture, that it has been remade and spoofed many times since. Matheson once again takes an ingrained fear within all of us and takes it one step further. 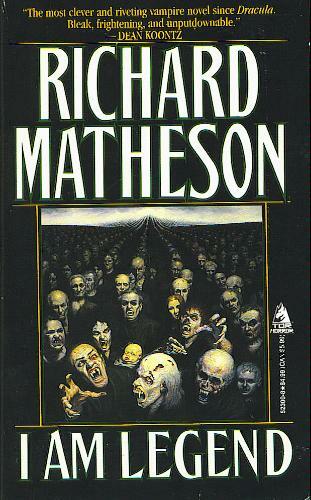 Lastly, I can't talk about Richard Matheson without mentioning his novella I Am Legend. You want to talk about stories that influenced modern horror filmmaking, look no further than this. And I'm not just talking about the undead, I mean the entire concept of post-apocalyptic storytelling. It's all here. You will be missed, Mr. Matheson, but what a legacy you've left behind!